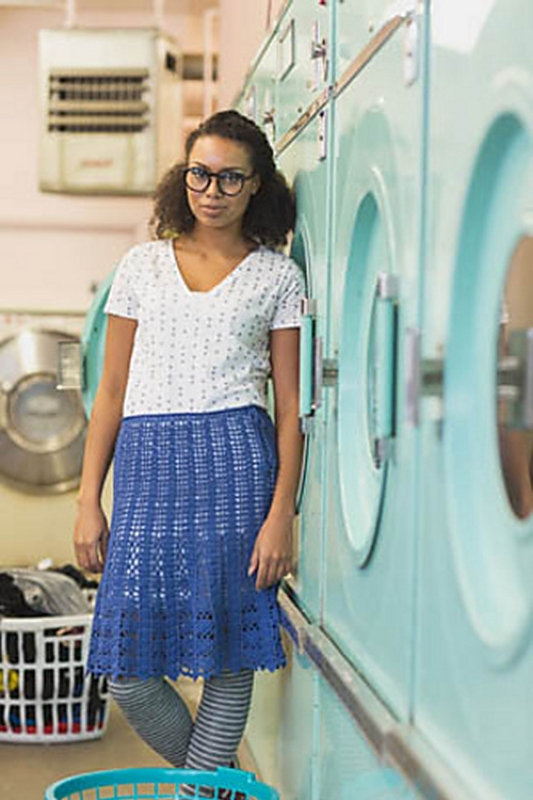 Taken from CrochetScene 2015: "Lace insets give the skirt flare; the skirt gives you flair! 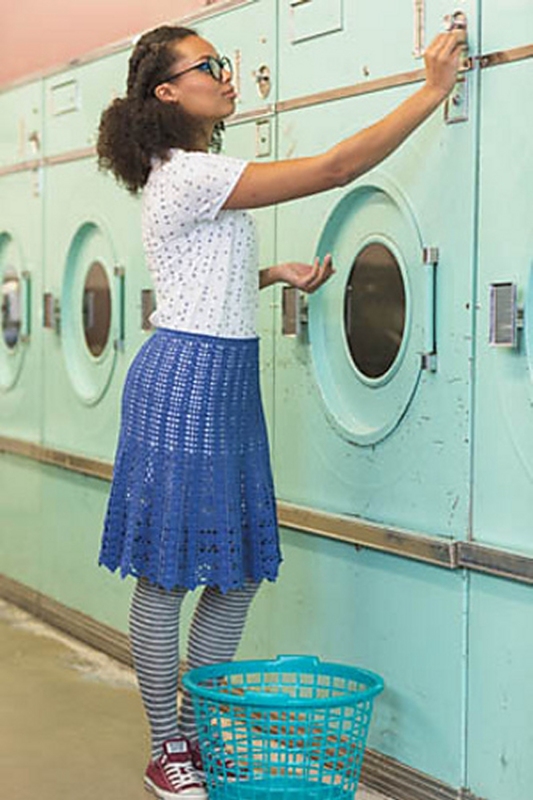 You'll wonder how your wardrobe ever got along without it." 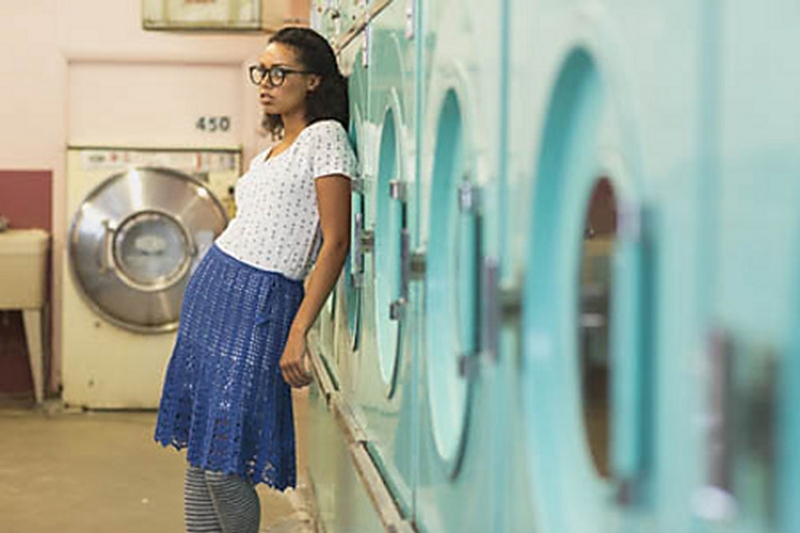 This pattern is from Crochetscene 2015, design by Jill Hanratty. Hook Size G/6 (4 mm) (or size needed to obtain gauge) is required but not included. Finished Size: 28 3/4 (31 1/4, 33 1/2, 36, 38 1/2)" waist, 38 1/2 (41 1/2, 44 3/4, 48, 51 1/4)" hip, 22 (23, 23, 24, 24)" finished length (including waistband). Garment shown measures 28 3/4", modeled with 3" ease. Gauge: 15 sts and 7 rows = 3" in patt. Color Shown is #011 Indigo. $48.00 -- Kit price including yarn only (no book or pattern). 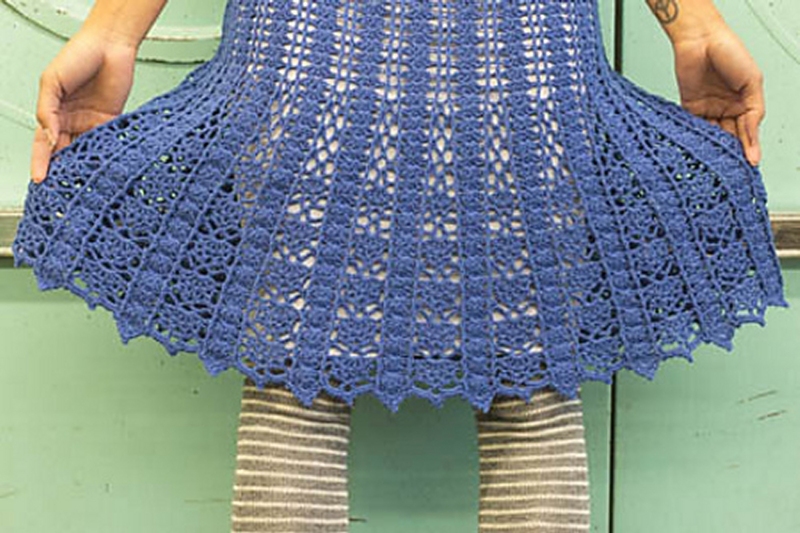 $64.00 -- Kit price including yarn only (no book or pattern). $72.00 -- Kit price including yarn only (no book or pattern). $80.00 -- Kit price including yarn only (no book or pattern). 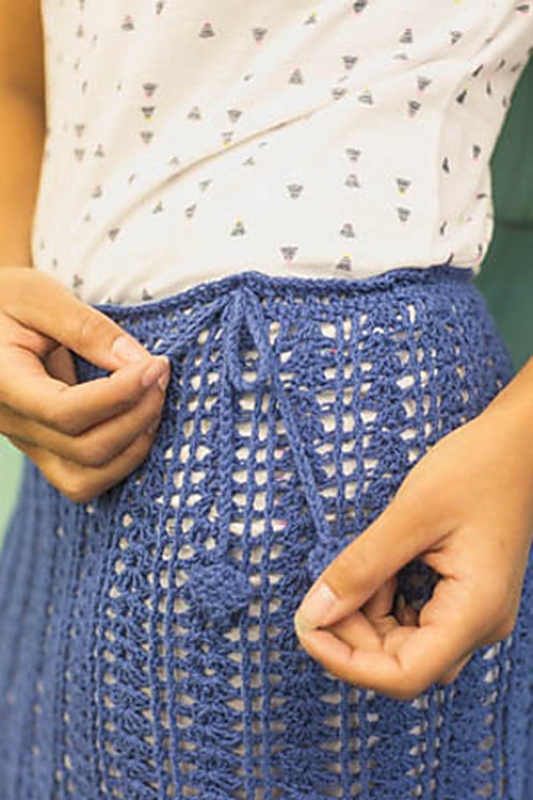 If you like the Hikoo Cobasi Swish-Swish Skirt kit, then you may be interested in some other kits covered in our Spring, Summer, Fall, and Crochet collections.